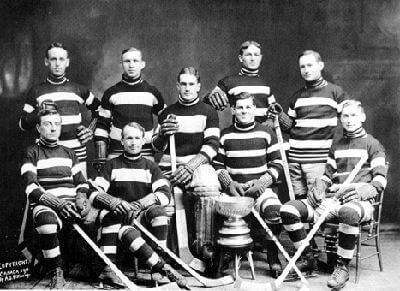 The 1920 Stanley Cup Finals was contested by the National Hockey League (NHL) champion Ottawa Senators and the Pacific Coast Hockey Association (PCHA) champion Seattle Metropolitans. The Senators won the series by three games to two in the best-of-five game series. Although all of the games for the series were scheduled to be played at The Arena in Ottawa, unseasonably warm weather and poor ice conditions forced the last two contests to be played on the artificial ice at Toronto’s Arena Gardens. This would be the last Stanley Cup Final appearance for a team based on the West Coast of the United States until the 1993 Final. The 1921 Stanley Cup Finals was contested by the National Hockey League (NHL) champion Ottawa Senators and the Pacific Coast Hockey Association (PCHA) champion Vancouver Millionaires. 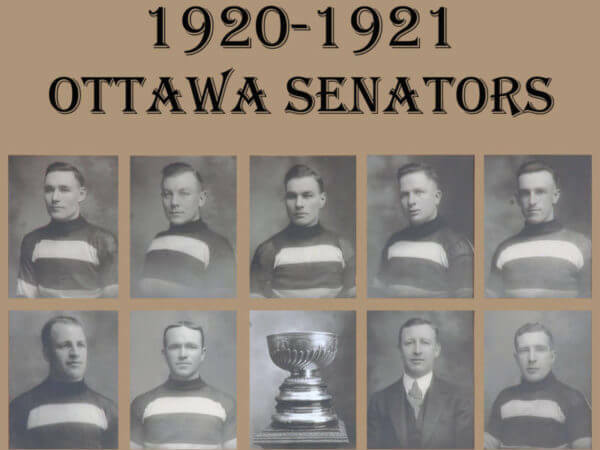 The Senators defeated Vancouver three games to two in the best-of-five game series to become the first team to win back-to-back Cup championships since the 1912 – 1913 Quebec Bulldogs. 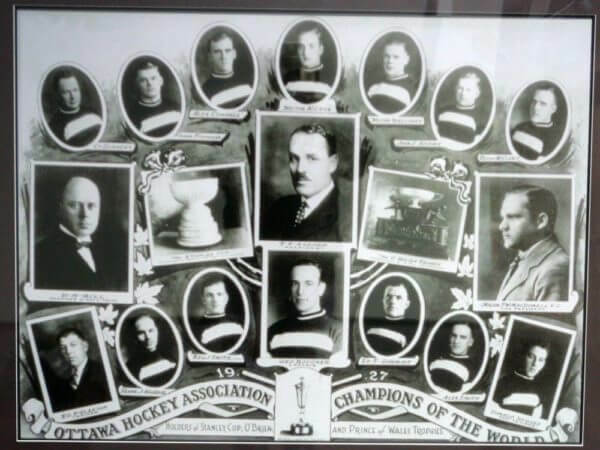 The 1923 Stanley Cup Finals was contested by the NHL champion Ottawa Senators and the WCHL champion Edmonton Eskimos. The previous WCHL-PCHA playoff format was abandoned, and the Ottawa Senators now had to play first the PCHA champion Vancouver Maroons, followed by the WCHL champion Edmonton Eskimos in the Final. This would be the last Final until the 1983 Final to be contested by a team from Edmonton. Both games were played in Vancouver, making this the last Final played entirely at a neutral site (the 1924 and 1925 Finals each featured one neutral site game). The 1927 Stanley Cup Finals was played by the Ottawa Senators and the Boston Bruins. It was the first time the Cup was solely contested by National Hockey League teams, owing to the demise of the Western Hockey League the previous year. It was won by the Ottawa Senators, coached by Dave Gill, over the Boston Bruins, coached by Art Ross. This was the Senators’ fourth win since 1920, and eleventh overall, but it marked the end of the dynasty. The original Senators would not win another. It would be the last time a team from Ottawa would play in the Finals until the 2007 Stanley Cup Finals, and the first Stanley Cup Final to have games played in both Canada and the United States. Despite finishing in last place for the second year in a row, the Senators actually improved their attendance over the previous season. Even with the increased gate, they barely survived the season. After the season ended, it was announced by Auditorium president F. D. Burpee that the franchise would not return to Ottawa for the 1934 – 1935 season due to losses of $60,000 over the previous two seasons. The losses were too great to be made up by the sale of players’ contracts, and the club needed to be moved to “some very large city which has a large rink, if we are to protect the Auditorium shareholders and pay off our debts.” The NHL franchise was moved to St. Louis, Missouri and operated as the St. Louis Eagles. The Eagles played only one season, finishing last again. They suspended operations after the season, never to return. Flash Hollett was the last member of the Senators to play in the NHL, retiring with the Detroit Red Wings in 1946. The city of Ottawa did not have an NHL franchise again until the new Ottawa Senators franchise was awarded for the 1992 – 1993 season. The NHL presented the Senators with a “certificate of reinstatement” commemorating Ottawa’s return to the league, and the current Senators honor the original franchise’s 11 Stanley Cups. However, records for the two teams are kept separately. Frank Finnigan, the last surviving member of the original Senators’ last Stanley Cup winner, played a key role in the drive to win an expansion franchise for Ottawa. He was slated to drop the puck in a ceremonial face-off for the new franchise’s first game, but died a year before that game took place. The new Senators honored Finnigan by retiring his #8 jersey. The Ottawa Senators were a professional ice hockey team based in Ottawa, Canada which existed from 1883 to 1954. The club was the first hockey club in Ontario, a founding member of the National Hockey League (NHL) and played in the NHL from 1917 until 1934. 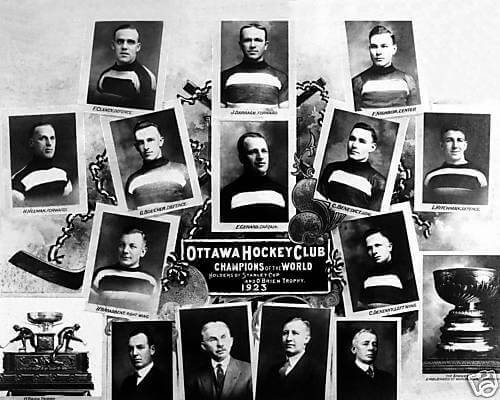 The club, which was officially the Ottawa Hockey Club (Ottawa HC), was known by several nicknames, including the Generals in the 1890s, the Silver Seven from 1903 to 1907 and the Senators dating from 1908. The club was one of the first organized clubs in the early days of the sport of ice hockey, playing in the Montreal Winter Carnival ice hockey tournaments in the early 1880s and founding the Amateur Hockey Association of Canada and the Ontario Hockey Association. Along with the rise of professionalism in ice hockey in the first decade of the 1900s, the club changed to a professional team and were founding members of the National Hockey Association (NHA) and its successor, the National Hockey League. The club competed in the NHL until the 1933 – 1934 season. Due to financial difficulties, the NHL franchise relocated to St. Louis, Missouri to become the St. Louis Eagles. 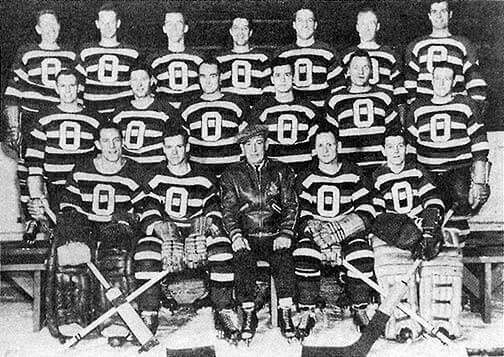 The organization continued the Senators as an amateur, and later semi-professional, team in Quebec senior men’s leagues until 1954. Senators – It is during the NHA period that the nickname “Ottawa Senators” came into common usage. Although there had been a competing Senators club in 1909, and there had been mention of the Senators nickname as early as 1901, the nickname was not adopted by the club. 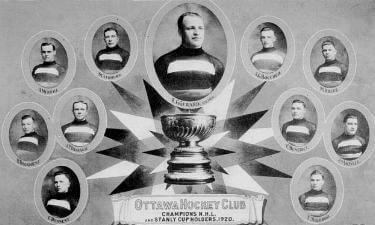 The official name of the Ottawa Hockey Club remained in place until ownership changes in the 1930s. The Ottawa Senators were a professional ice hockey team based in Ottawa, Canada which existed from 1883 to 1954.